Cheddar Cheese is a hard yellow colored cheese which was originally created in the town of Cheddar in England. Today, some of the best Cheddar cheese is made in Wisconsin. To make Cheddar Cheese, the cheese curd goes through an additional process called Cheddaring, which involves heating the curd and kneading it with salt. After this process, the curd is cut to remove whey and stacked for aging. Sharp Cheddar has the most distinct "bitter" flavor of any cheddar cheese. This flavor is created during the long aging process required to make Sharp Cheddar Cheese. All Wisconsin Sharp Cheddar Cheese blocks are approximately 1/2 pound. Cheddar Cheese is a hard yellow colored cheese which was originally created in the town of Cheddar in England. Today, some of the best Cheddar cheese is made in Wisconsin. To make Wisconsin Cheddar Cheese, the Wisconsin cheese curd goes through an additional process called Cheddaring, which involves heating the curd and kneading it with salt. After this process, the curd is cut to remove whey and stacked for aging. Our Smoked Wisconsin Cheddar Cheese starts out as Mild Wisconsin Cheddar. 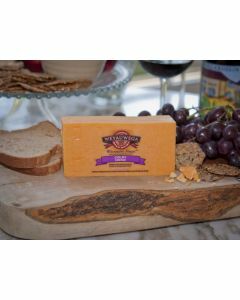 Mild Wisconsin Cheddar Cheese has a short aging process, usually only a few months, to produce a flavor that is not at all bitter. 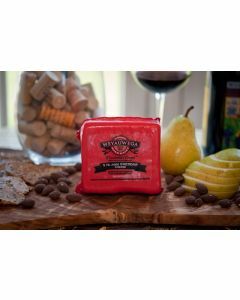 After aging, this Wisconsin Cheese is naturally hickory smoked to create the distinctive flavor. All Smoked Wisconsin Cheddar Cheese blocks are approximately 7 ounces. Today, some of the best Cheddar cheese is made in Wisconsin. To make Wisconsin Cheddar Cheese, the cheese curd goes through an additional process called Cheddaring, which involves heating the curd and kneading it with salt. After this process, the curd is cut to remove whey and stacked for aging. Mild Wisconsin Cheddar cheese goes through the shortest aging process, usually only a few months, to produce a flavor that is not at all bitter. All Mild Wisconsin Cheddar Cheese blocks are approximately 1/2 pound. To make Wisconsin Cheddar Cheese, the cheese curd goes through an additional process called Cheddaring, which involves heating the curd and kneading it with salt. After this process, the curd is cut to remove whey and stacked for aging. 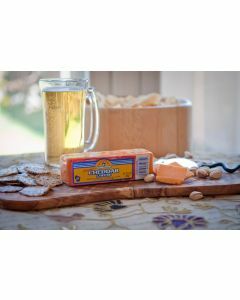 Medium Wisconsin Cheddar Cheese is aged longer than mild cheddar to produce a slightly bitter and sharp flavor. All Medium Wisconsin Cheddar Cheese blocks are approximately 1/2 pound. Limburger Cheese originated during the 19th century in the historical Duchy of Limburg, which is now divided between Belgium, Germany, and Netherlands. The cheese is especially known for its strong smell! In its first month, the cheese is firmer and more crumbly, similar to the texture of feta cheese. After about six weeks, the cheese becomes softer along the edges but is still firm on the inside and can be described as salty and chalky. After two months of its life, it is mostly creamy and much smoother. Once it reaches three months, the cheese produces its notorious smell because of the bacterium used to ferment Limburger cheese. 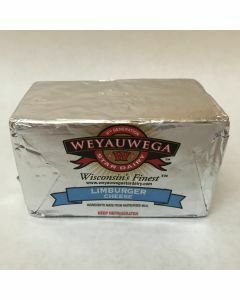 All Wisconsin Limburger Cheese blocks are approximately 1/2 pound. Colby cheese was first made in 1874 by modifying the process used for making Cheddar Cheese. It was named after the village of Colby, Wisconsin, which is in northern Wisconsin. Colby cheese does not go through the Cheddaring process (salting, heating, and kneading the curd) and the curd is washed during the cheese making process. The washing of the curd makes the cheese much more mild in flavor than cheddar cheese. All Wisconsin Colby Cheese blocks are approximately 1/2 pound. Aging brings out the sharp flavor in Wisconsin Cheddar Cheese. 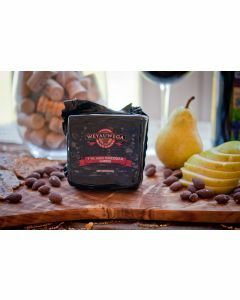 This Wisconsin cheese has been aged 7 years, meaning the flavor will be much more intense than most other sharp cheddar that you have tried in the past. 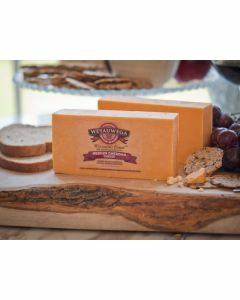 All Wisconsin Cheddar Cheese blocks are approximately 1 pound, but the actual weight will be slightly above 1 pound due to the process of cutting larger blocks of cheese into a size for you to enjoy at home. Aging brings out the sharp flavor in Wisconsin Cheddar Cheese. 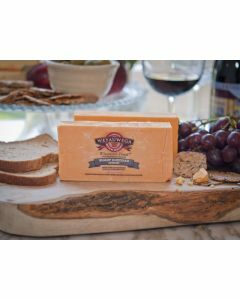 This Wisconsin cheese has been aged 5 years, meaning the flavor will be much more intense than most other sharp cheddar that you have tried in the past. 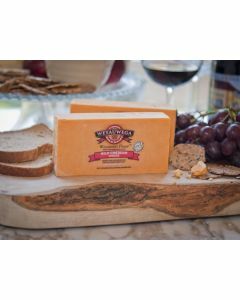 Wisconsin Cheese and Wisconsin Cheese Boxes Delivered Nationwide! Looking for something not shown online? Give us a call, we are happy to help! In the area? Visit our store.